"We're Going to Fly You like You've Never Been Flown Before". 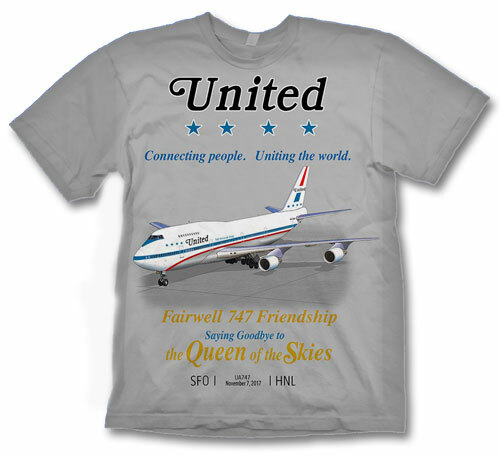 That's the theme of this new B-727 "Sun King" shirt. 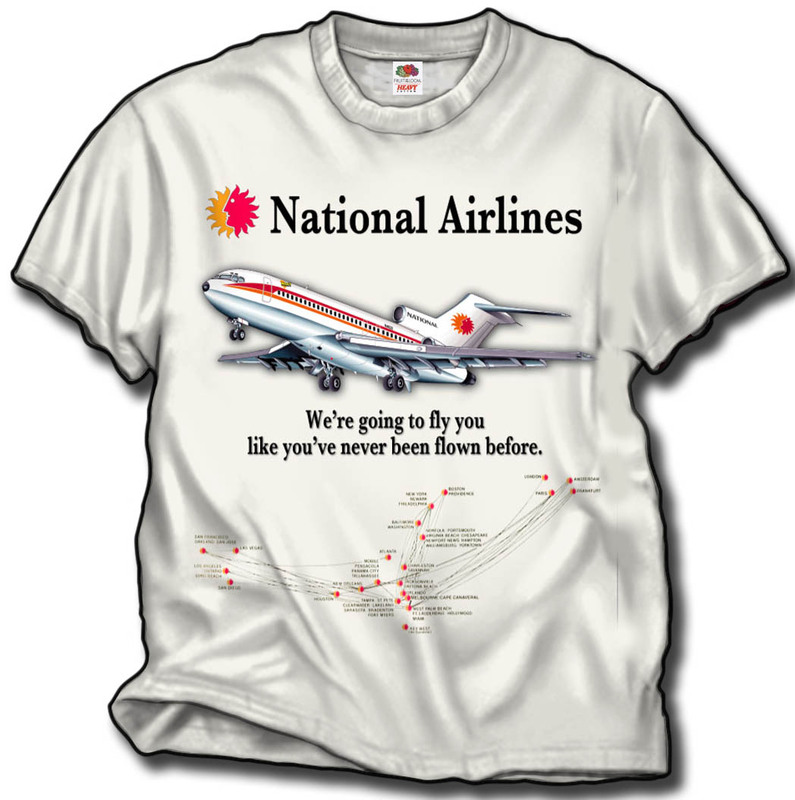 The background has the route map where National flew at the time. On a 100% cotton Natural (very light tan) shirt.